I’ve just received the window shopping stamp set and just can’t tell you how much I love it. The pretty flowers in the square are as pretty as a picture so that’s what I decided to do with this one, it doesn’t need very much at all. 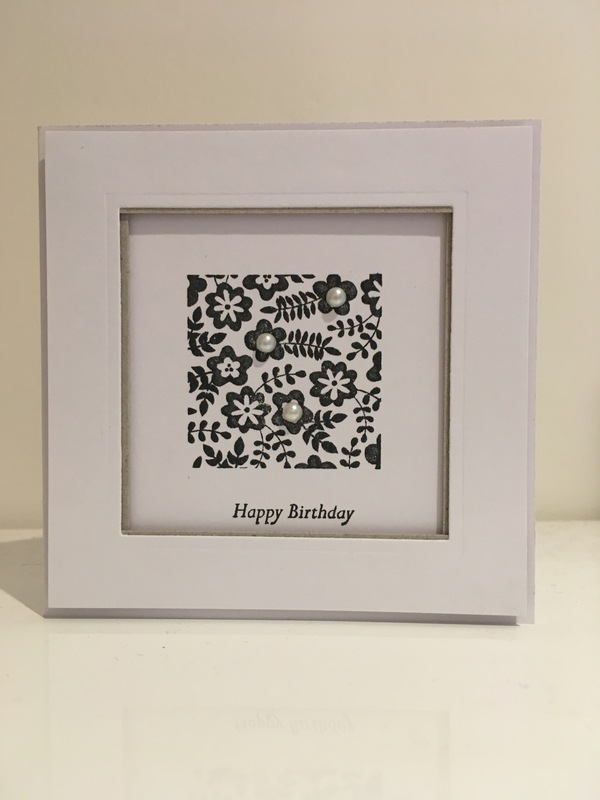 I stamped with basic black used wink of Stella on the flowers, added a few pearls and set it inside a raised frame. I used the Teeny Tiny Sentiments set for happy birthday but to be honest you could use quite a few of the others too.